Looking for a fine facility in Eltham for getting car repairs or car service done? How about you get both in addition to other services from a top quality mechanic as well as a chance to get your car checked for roadworthiness? Have a deep understanding of the latest technologies that cars these days come equipped with. 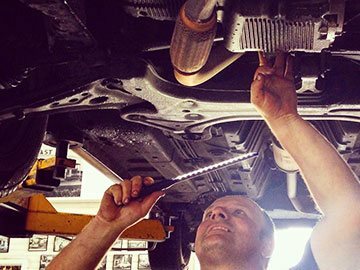 It is very important for you to share a sense of comfort and develop a level of trust with the service provider who will work on your car. Therefore, before you choose to bring in your car for a service or car repairs to our mechanic or for getting a roadworthy certificate, we invite you to visit our facilities and see for yourself the quality with which we execute our services for our Eltham clients. You can meet up with our team and get your queries answered. We are sure that you will find our staff warm, approachable and friendly. Our services of issuing roadworthy certificate for our Eltham clients are also executed with a high level of proficiency. This is because if we issue a roadworthy certificate against a car which is under deserving of it, we will put our reputation and your safety at stake. For more details on our services, give us a call at All Types Automotive.